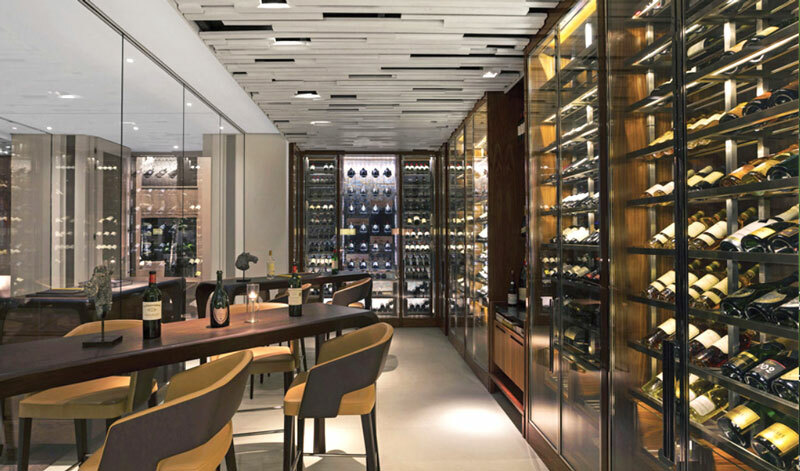 Cellarworks is an international design firm specializing in architecturally distinguished wine cellars commissioned by architects, designers, and private clients. The objective of Cellarworks is to create a sophisticated and unique environment for conserving your wines and reflecting your lifestyle. We accept only a limited number of commissions each year to provide uncompromising attention needed during each project. Cellarworks consults on all technical specifications throughout the process to ensure the correct execution of the wine cellar. Our firm will design the cellar space including wine storage furniture and interior finishes, as well as liaise with the client's architect and designer. We specialize in highly technical and modern environments as well as correctly appointed antiquated cellars.